Friendly ghosts are looking for new places to settle. They've found a beautiful valley by the sea, but seasons don't change there. Seasons should be recreated! A whole town is to be built for that purpose. Spring, Summer, Autumn and the Winter along with all of the weather effects for each season such as wind, rain, snow have to be recreated manually in Laruaville 3! Laruaville 3 is rated 4.3 out of 5 by 43. Rated 5 out of 5 by nelliebj from Excellent game, lots of fun I love this developer's games. 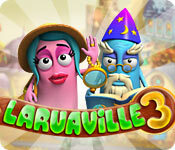 Laruaville and the Cursed House series are very similar, using same strategies and game play. Maybe that's why I like both series so much. Looking at the page on BF, this looks more like a game for kids but it's far from that. It's very challenging and each board takes some time to complete. You have to use some strategy to win and think about your moves. But, it's really not difficult once you figure out the plays. Rated 5 out of 5 by tutortime from Great Series ! 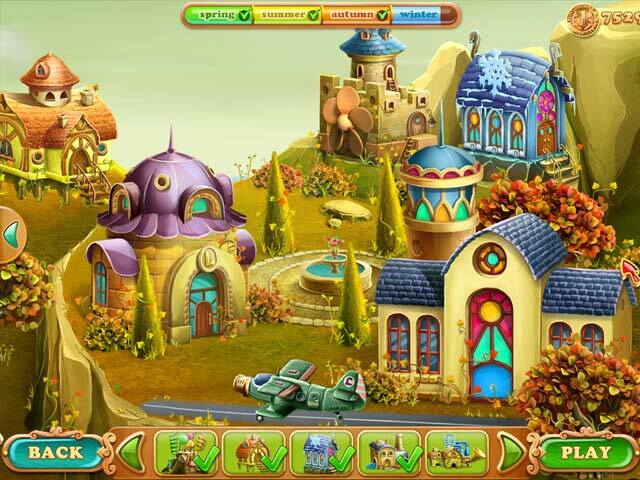 Wonderful and colorful graphics, sweet storyline, great game play. 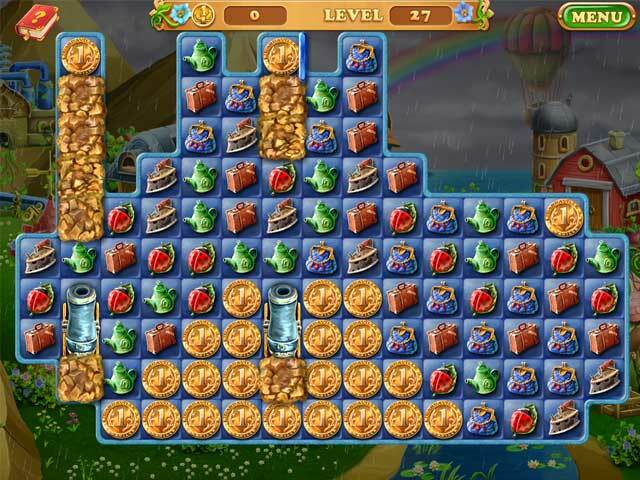 Rated 5 out of 5 by Casima from Funtastic!! It was love at first sight! It's my first Laruaville game and I love my experience. The gameplay is fun and original. I love the pieces on the board (boots, irons, rainbow umbrellas, hats, etc.) and how we can move the power-ups. How to build the town is the way I like : simple! Trying is adopting! Rated 5 out of 5 by n7sg from Love this game Love this game. Bright cute drawings. Pleasurable pastime. Music is wonderful and uplifting. The plane is so cute. I like all the Laruaville games but this one is the best. Rated 5 out of 5 by denniann2 from i loved this M3 game you are recreating the seasons for the ghosts. they are delightful and funny again in this version. i am hooked on this series. i didn't like it so much the first time but i am getting into it now. the spot the differences mini games are kind of hard and the mahjong games can be hard as well. oh i hope there are more out there after the 4th game which i have already played!!!! the kids should love it!!!! Rated 5 out of 5 by upsysydaisy from Less Fun Than the First Two I had so much fun with this series so far, but Laruaville 3 lacked a little of the pizazz for me. It was still enchanting but rebuilding the town was just not the same. However, it did not diminish the overall fun. 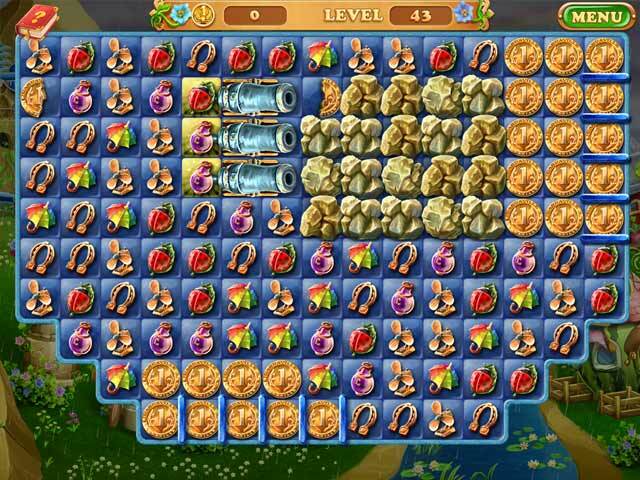 My disappointment comes with the level where you need to thaw the icy coins with fire. I have been trying to complete this level FOREVER and now frustration has taken over! I am done, done, done and have decided to uninstall the game because I cannot proceed. What is the secret, am I the only one who has met this roadblock? Or am I just as dumb as a rock??? lol. I still rate it 5 stars because it is fun and simply adorable, love the little ghosts and helping them with their mission. Rated 5 out of 5 by deddu from Another Wonderful Laruaville Brilliant game, great graphics, good challenges and delightful ghosts. Cannot wait until #4 arrives. Will play this one again and again. Rated 5 out of 5 by sandynye from Great game!! This game is a lot tougher than I would have thought. Some of the levels are hard to get thru. Great game for a challenge. Rated 5 out of 5 by verimeri from a really fun game Like Laruaville 1 and 2 Laruaville 3 is fun to play- the graphics are cute- good story line.